Often, one of the first signs of mold growth in a business in Doraville, GA, is the unpleasant odor caused by mycotoxin. Understanding more about mold odor can help you better understand the process of mold growth and remediation. Does All Mold Have an Odor? What Causes Mold To Smell? The reason that certain types of mold have a musty scent has to do with mycotoxin, a compound produced by some molds. This compound can have a different odor depending on the type of mold that is present. Regardless of the type of growth, however, the mold can rapidly spread if organic material, such as food, wood, cloth or other materials, are present; the spread of mold can make this potent compound more noticeable. How Is the Odor of Mold Removed? There are various methods mold remediation professionals can take to remove the odor of mold in a business. After assessing the property, experts will use various containment methods, such as reducing or eliminating the flow of air, to ensure the mold doesn’t spread to unaffected areas of the building. Once the mold has been contained, unique air filtration devices are used to bring the spores down to a level that is safe. Knowing which molds tend to have a scent and what mycotoxin is can make it easier to identify mold growth, and identifying the growth soon after it begins can result in a less expensive and time-consuming remediation. Additionally, knowing how mold odor is removed can give you a better idea of what to expect in mold remediation. While some damage may be obvious after a disaster, other types of primary and secondary damage may not be apparent without close examination. Preliminary tests may identify the presence of soot or smoke damage in portions of a structure that were not directly affected by fire or identify hidden water damage that could lead to mold. Here are four reasons why clients and insurers should request pretesting. Early testing can increase the accuracy of an estimate. This is particularly the case if a property owner or insurance agent plans to rely on a single service for mitigation and restoration. An estimate based on more extensive knowledge of the type and degree of damage that is present will be more complete. Preliminary tests can also speed up the mitigation process. Damage cleanup professionals need to determine which issues are present and take measures to limit and begin to address damage in a timely manner. Pretesting goes beyond a basic assessment to identify all of the types of damage a commercial property has sustained. Increased awareness of the full extent of damage can limit the severity and result in a more successful restoration job. Professionals can provide the expertise and equipment necessary to get the job done right. This is particularly the case with a one-stop mitigation and restoration shop. An accurate initial estimate can help clients and insurers avoid surprises later in the restoration process that can significantly increase an insurance claim. Agents and adjusters should rely on a service that makes it easy to access estimates and compare claims based on the type of damage and location. Pretesting damage allows for a more accurate initial assessment and estimate. Commercial clients and insurers should request preliminary testing services from a mitigation and restoration company in Dekalb, GA. Vacations are supposed to be relaxing, and learning that your home in Chamblee, GA, has sustained water damage, or that your house needs a water pipe repair while you are gone, can leave you feeling stressed. Luckily, there are steps you can take to protect your residence while you’re away. Checking certain areas in your home before you leave can alert you if there are any minor or major issues that need to be taken care of quickly. If you notice a leak that can’t be fixed immediately, then it can be useful to turn off the water in your dwelling. Alternatively, you may also find an issue that can be fixed before your vacation. Knowing what state your home is in before you leave can give you peace of mind. Even if you take steps to keep your home protected from water damage, disasters cannot always be prevented. If a broken pipe causes damage and you need a water pipe repair, knowing about the issue when it happens can help prevent a major catastrophe. 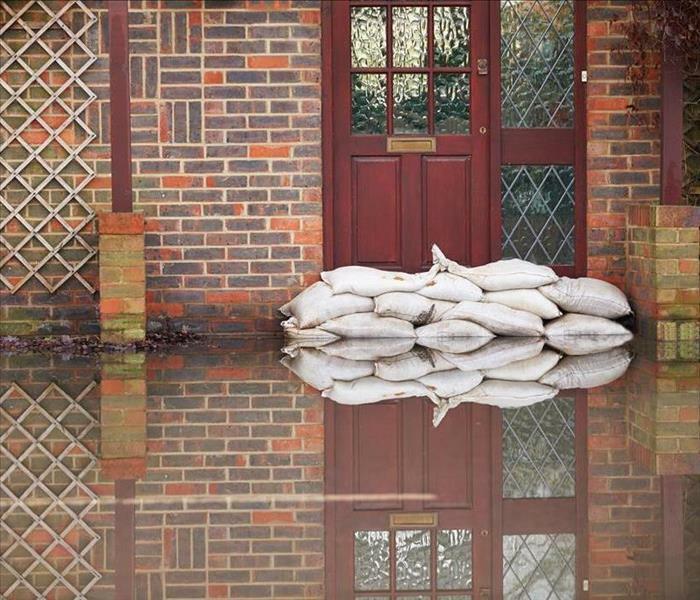 Having a friend or family come by your house while you’re away can ensure that you will know if there is an issue and can ultimately prevent flooding in your home. Before you leave your house for your vacation, it can be helpful to take precautionary steps to prevent water damage. By keeping your cabinets open, you can decrease the likelihood of your pipes freezing and bursting due to cold temperatures. 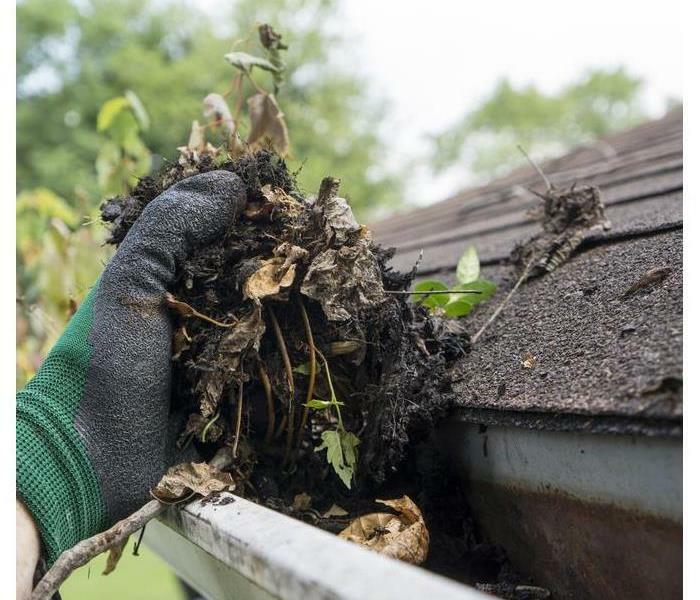 Debris stuck in gutters can make water damage more likely, so it can be useful to clean them out before you head off to your vacation. Checking for issues before you leave, having someone come by your home when you’re gone and preparing your pipes and gutters can prevent cutting your vacation short or needing to make a quick water pipe repair while away. If any problems occur, water damage restoration experts can often help homeowners whose homes have been flooded. Where Do Common Types of Mold Tend To Grow? Stachybotrys Atra, also known as black mold. Mold may grow wherever moisture and food sources are present. Fungus feeds off of organic material such as cellulose, which is present in many building materials and contents. Learn more about common places for mold growth and the genera that are frequently found in each location. Ventilation systems can spread spores throughout a residence. Contact a specialized cleaning service if you suspect that mold is growing in an HVAC unit or ductwork. Mildew may be an early indication of an elevated risk of mold growth in a bathroom or under a sink. Take measures to promote proper cleaning and ventilation. If conditions remain conducive to the growth of mold, look out for fuzzy brown or green alternaria or black and brown spots of cladosporium. Spilled food and collected condensation may allow genera such as aspergillus, cladosporium or penicillium to thrive in a drip pan. Clean out this pan on a regular basis or after major spills to prevent undesirable odors and mold. 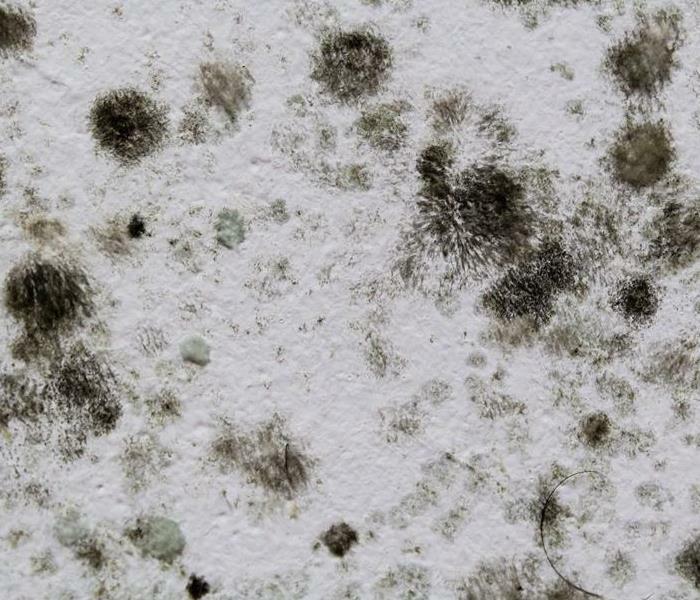 It is almost impossible for a non-professional to identify the genus or species of mold. Hire an environmental hygienist or mold specialist to conduct professional testing. These are some of the most common locations for mold growth in a residence. The presence of moisture or high humidity levels are the most important factors. If a mold problem develops at a residence in Dunwoody, GA, contact a company that provides testing and remediation services. 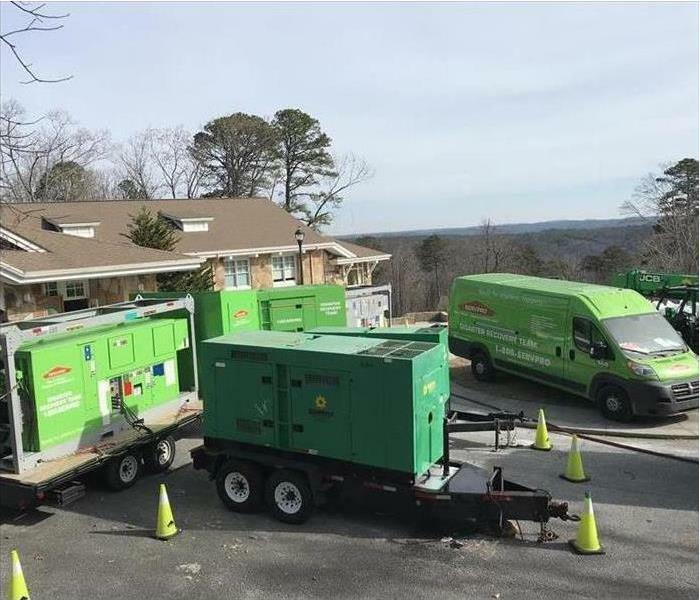 SERVPRO of Dunwoody, GA, faster to any size disaster. There are times that extremely thorough storm response is required from a damage restoration company in Dunwoody,GA. Major weather-related disasters can be hard for a local service to handle alone. Luckily, SERVPRO is different in that its corporate team is ready to help local franchises with disaster recovery in severe situations. SERVPRO is uniquely equipped with temporary labor teams, production professionals, large-loss experts and specialized managers who are ready to help in whatever way needed when a monstrous storm hits and necessitates fast and efficient disaster recovery. Whether a storm is large or small, SERVPRO’s 1700 franchise employees and corporate teams are ready at a moment’s notice to help with storm damage assessment, restoration and remediation. Whether a massive flood suddenly takes over or a violent wildfire starts to spread, SERVPRO technicians are ready to do whatever they can to help restore normalcy and peace. It is not always easy for anyone or any organization involved in disaster recovery to know what the best plan of action is to pursue, but SERVPRO teams use their experience and skills to take every possible action in to do the right thing at the right time. They are always Here to Help. Quite a few homeowners are affected by emergency situations every year, many of which contact a professional restoration company that can offer a variety of services for fire, water, mold, and storm restoration, remediation, and cleaning. However, there are only a handful of these companies that also offer the reconstruction services that accompany these repairs. When you discover that your North Atlanta property requires reconstruction services as a part of your repairs after being affected by an emergency situation or natural disaster, you should turn to a quality company with the resources and personnel available that are fully qualified to provide you with a complete range of both restoration and reconstruction services. If you find that your property has received damages that cause unprotected portions of your home to become exposed to outside elements, our emergency board up services may be required to protect your number one investment. SERVPRO offers these services and a lot more. 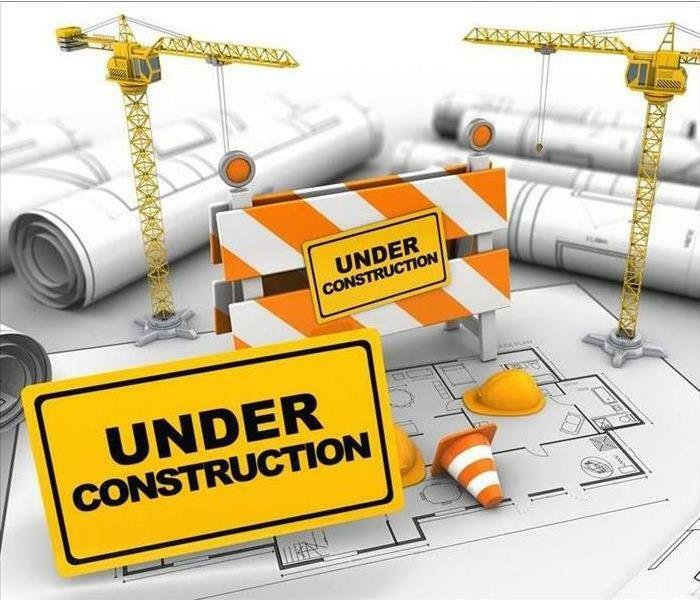 With access to a variety of technicians that have experience in handling structural stabilization, site security, demolition and debris removal services. 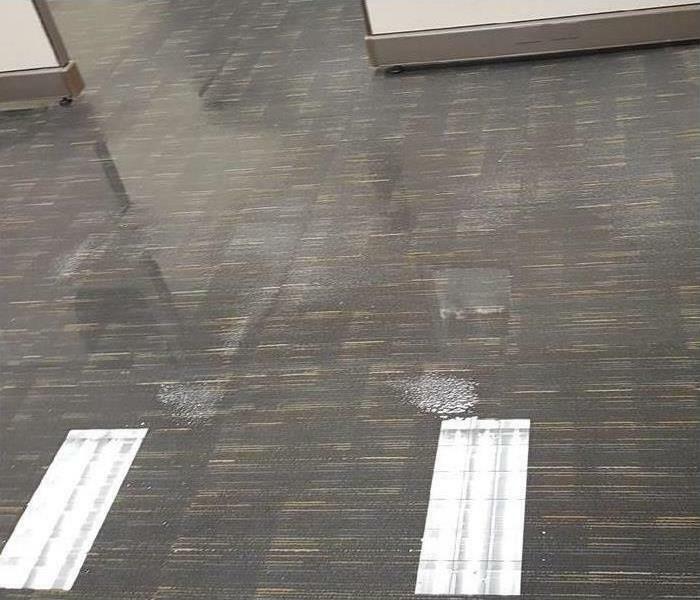 SERVPRO's expertise and understanding in providing the proper combination of restoration and reconstruction services allow for significant savings related to your repair and restoration costs while removing the necessity to deal with other companies to perform additional work once your restoration and cleaning services are complete. SERVPRO technicians are qualified to perform full reconstruction tasks related to electrical, mechanical, plumbing and structural repairs that you face to return your property to a quality pre-damage condition. We are ready to provide you with all of the proper services to make this situation appear, "Like it never even happened." A not so fond memory that you would rather forget. We provide our customers with a one-stop solution to the restoration and reconstruction and rebuild services that you need to get things back to normal, including assisting you with your claims process and relocation services if necessary. With 24-hour, seven days a week emergency services at your disposal, we can be available when you need us, day or night to provide a solution that works best for you. 3 Reasons To Act Right Away! If you’ve just experienced a fire in your home in Chamblee, GA, then the sight of your house might make you feel like your life will never be the same again. While loss is inevitable in a large fire, a team of fire damage specialists can often take your damaged home and restore it to its original condition. 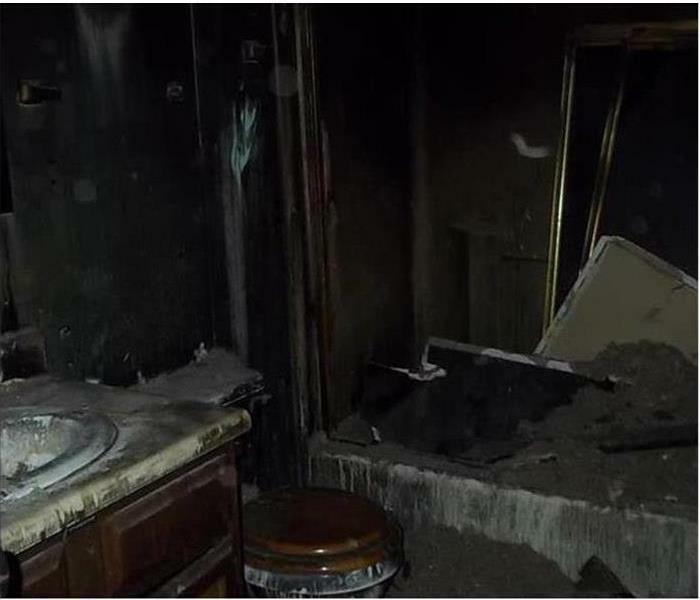 While fire damage cleaning can be very effective in saving your home and preserving many of your items, it is imperative for the following three reasons that you act right away! Smoke is extremely detrimental to the structure and appearance of your home. Staining, warping, corrosion, and a strong smoky odor will all occur as smoke makes its way through your home. Electronics also become hazardous and damaged when affected by smoke. To quickly restore items and structures affected by smoke damage before they become unrepairable, prompt action by a trained professional is essential. When the fire restoration company arrives at your home, one of the first precautionary actions they’ll take after inspecting the damage is to secure your home. This makes the environment safer for everyone inside and prevents further damage from occurring. Boarding up walls and windows and placing a tarp on fire damaged roofs is the main method used. If standing water is left in your home for an extended period of time after a fire occurs, there will be extensive damage to the structure of your home and mold will start to grow on wet surfaces. The sooner you start the fire restoration process the more effective you’ll be at preventing mold growth and water damage from occurring. While the condition of your home post-fire can be an extremely overwhelming site to see, fire restoration specialists have the expertise and skills necessary to get your home back to normal. Prevent further damage by contacting them right away! Mold can be a much larger infestation. Mold and mildew, while similar are not the same and are resolved in drastically different ways. For instance, mold damage may require a specialist, but any number of household cleaners likely remedies mildew. While these fraternal fungi are related, it is important to Know their differences to reduce your level of anxiety should you come across either. 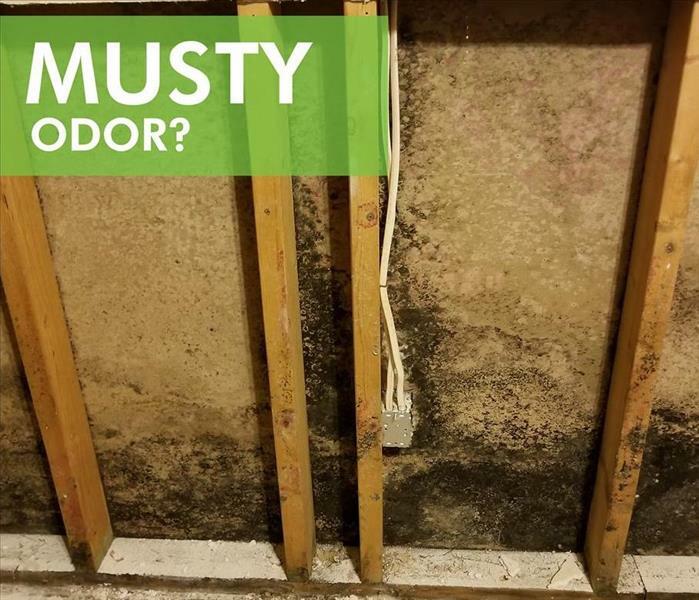 Mold is a little bit of a trickster, when it appears, it may only show up in blotches on walls or surfaces, but it has likely been growing for some time in wall cavities and crawlspaces. Mildew growth, alternatively, is considered a surface fungus, meaning that it is what you see. 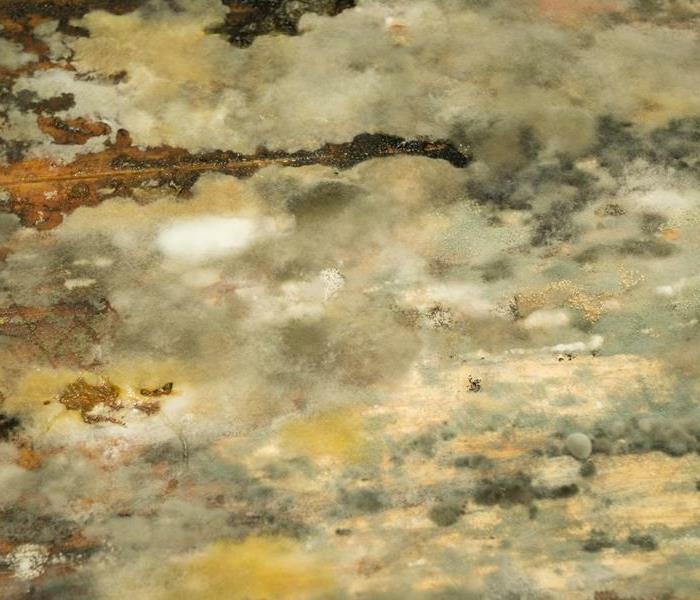 While mold damage and mold growth are distinctive for many reasons, one is the color of the fungus. Mold can be a multitude of colors, depending on the type of mold, but the most common colors are black and green. Mildew, however, is not as colorful, only showing up in gray and white. When staring at a mold specimen and a mildew sample, you will likely notice the apparent texture difference. Mold is almost fuzzy while mildew is flat. Also, mildew will resemble a stain more than a growth. Mildew can be considered a nuisance, something that is annoying but easy to clean and remove. Mold, however, can be a part of a larger infestation that has set up base camp in your walls and crawlspaces. If you find mold, it may be wise to contact a mold remediation specialist in the Dunwoody, GA , area to help. Mold damage can be expensive to remedy, but just because you find a discolored growth behind a kitchen cabinet does not mean you are dealing with mold. Mold and mildew, while similar, are vastly different, so know which fungus you are dealing with before you panic. Living your life is like driving down the road in Chamblee,GA. Plenty of people will tell you the best route, but almost no one warns you about the potholes. Time is your enemy. Shutting off the flow of water is merely the first step. You need to aggressively get all that water out of your home as quickly as possible. Water damage remediation cannot wait until tomorrow. 2. Don’t Assume That the Damage Ends When the Flow of Water Stops. Also, don’t forget that untreated water damage due to a broken pipe can lead to a mold problem more devastating than the water damage that brought it on. 3. Don’t Overlook the Risk of Electrocution. With water damage, there is always a chance that it will find its way inside electrical appliances, outlets and other fixtures. Water connecting with electricity increases the possibility of electrocution and fire. 4. Don’t Assume That Your Insurance Won’t Cover This Flooding. Examine your water damage coverage. If you call your agent first, and if you decide not to file a claim, the agent may still be required to report the call. This report might be part of the basis for a future increase in your premium. However, if you don’t understand the policy, make the call. 5. Don’t Hesitate To Call for Help. Water damage from a broken pipe is a serious matter. There are skilled and well-equipped water damage remediation specialists ready to come in and restore your home. They are just a phone call away. 3/4/2019 - Where Do Common Types of Mold Tend To Grow?